The Good Times Blog: Pardon Me? In a shocking turn of events today, President Bush commuted the 30-Month prison sentence handed down to ex-Cheney aide I. Lewis "Scooter" Libby. As you may remember he was found guilty of lying to federal investigators during the investigation into of the leaking of the identity of CIA agent Valerie Plame. 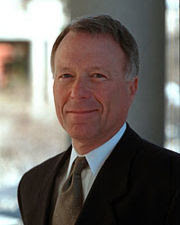 In a statement released after a federal appeals court decided that Libby would have to begin serving his sentence while awaiting the outcome of further appeals, President Bush noted that while he "respected" the original verdict in the Libby case, he thought it was too harsh, so he changed it (to be read, "didn't respect the jury's decision at all"). I am actually kind of shocked. I really did think that the Administration was going to hang "the other Scooter" out to dry on this one. After all, what good is a fall guy if he doesn't actually take the fall? I guess I was wrong for having faith in the system and for actually believing that someone in this Administration might actually be held accountable for their actions (granted, I don't really think Scooter is to blame for Plame-gate, and he is sort of a Cheney's pawn, but he did LIE in a federal investigation, which is, uh, pretty bad, and he should in fact be held accountable for that). It is like my old friend Dubya used to say "Fool me once, shame on you, fool me twice...uh...you can't get fooled again". According to some of the news commentary this morning, Bush did this to keep the other Scooter from spilling any beans during the appeals process. He just might have felt more compelled to talk if he was sitting in the pokey and Bush-Cheney wouldn't want to hear anything like the truth getting out. Libby and his lawyers are actually still going to appeal. The commutation doesn't erase the guilty verdict - so we can still refer to him as "convicted felon Scooter Libby" (for now). He's also still subject to a pretty hefty fine. Having said that, I'm sure that he will be much more likely to keep his mouth shut now that he doesn't have two years in a Federal penitentiary to ponder his fate. Man, does our system of governance work, or what?